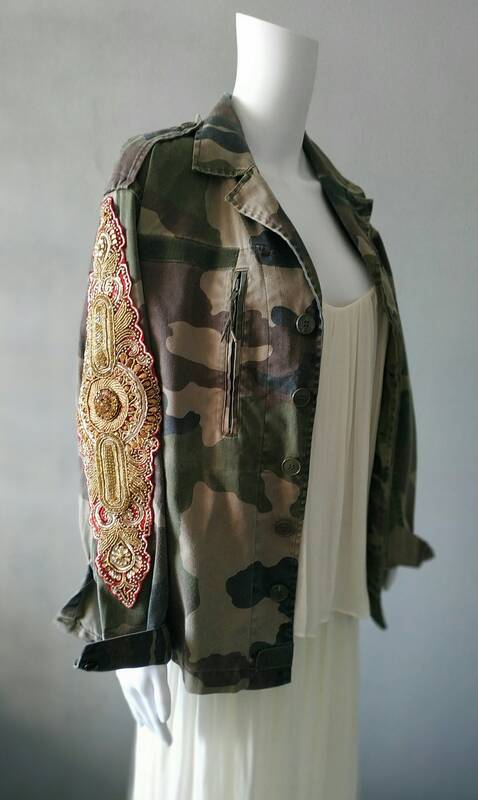 Chaqueta militar de camuflaje vintage, decorada con textiles y joyería india vintage única y exclusiva bordada a mano. 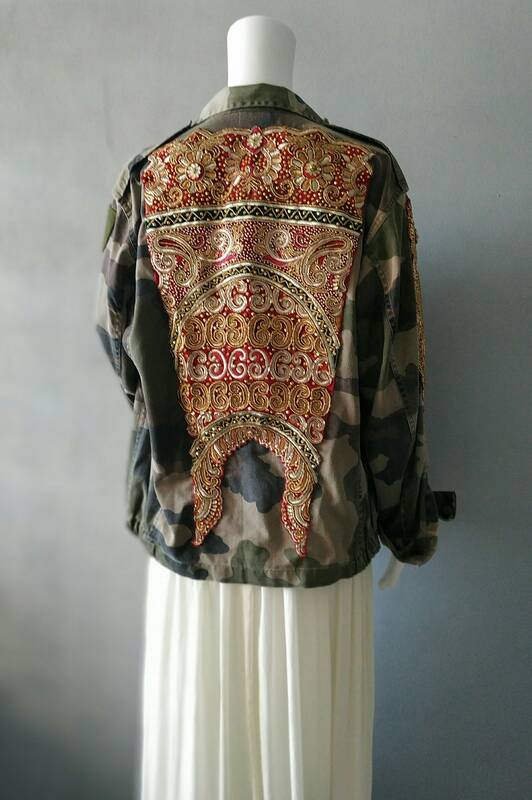 Chaqueta con encanto y magia pura, única e irrepetible. 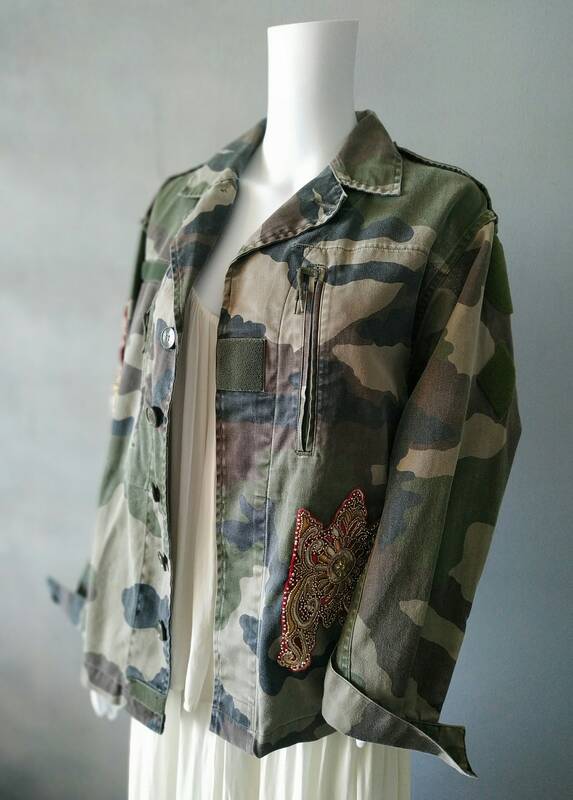 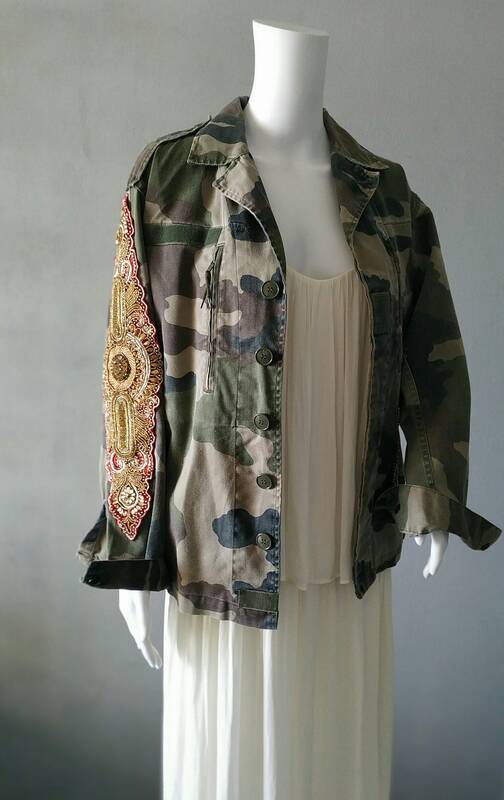 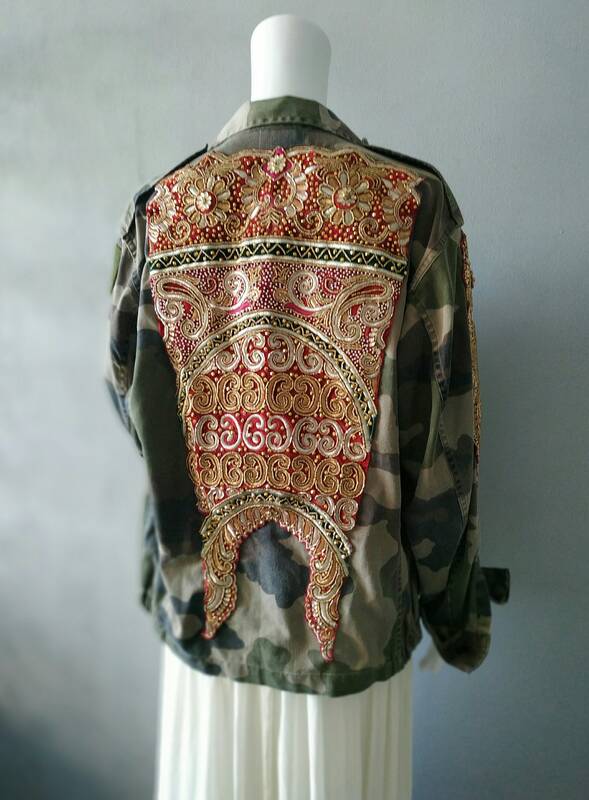 Vintage camouflage military jacket, decorated with textiles and unique and exclusive vintage Indian jewelry, embroidered by hand Jacket with charm and pure magic, unique and unrepeatable. 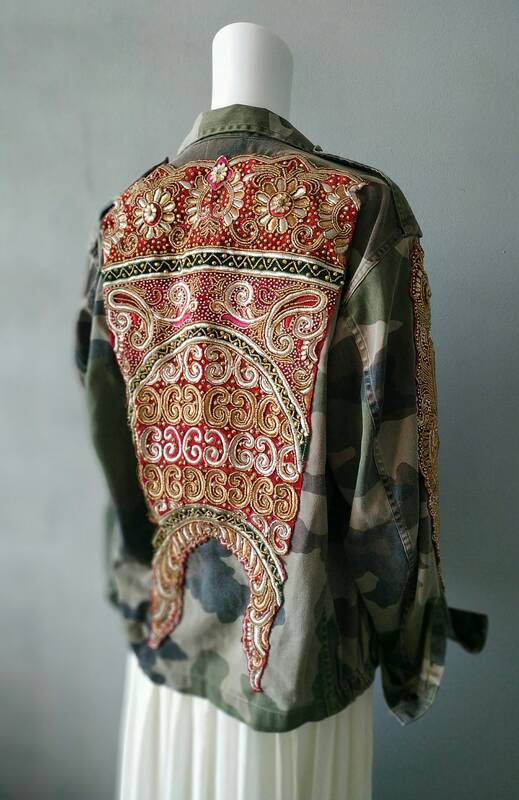 The textiles used are exclusive pieces, obtained through vintage Indian attire. 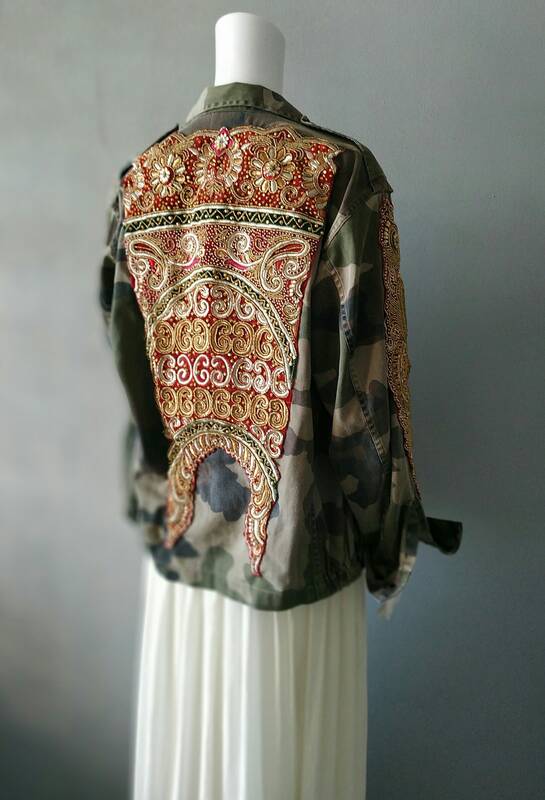 Its history and origin is very interesting as are the wonderful hand-embroidered pieces. 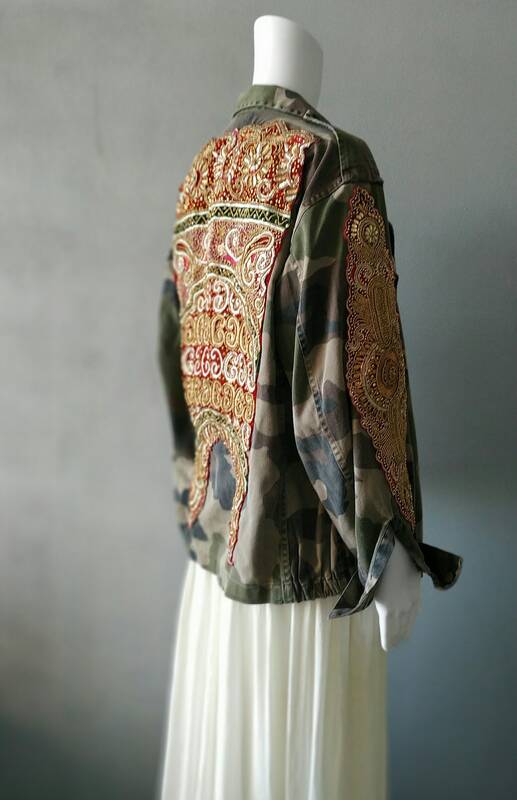 They are textiles that have come a long way to get where they are today. 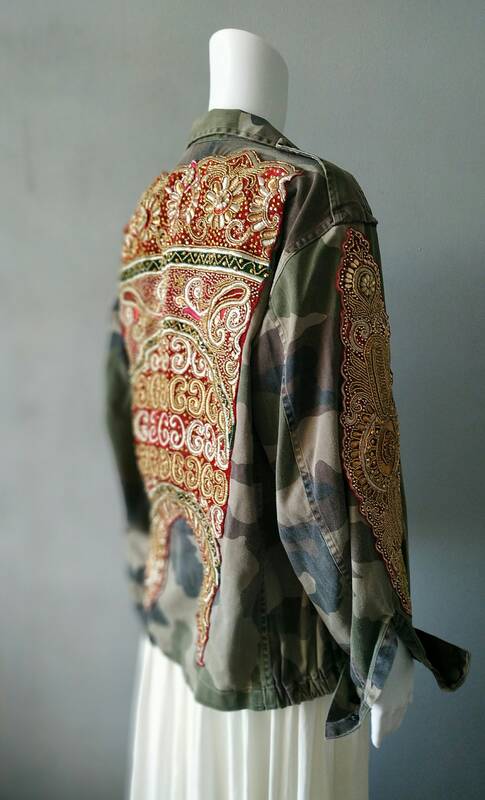 Initially it was considered as the Real Indian attire.